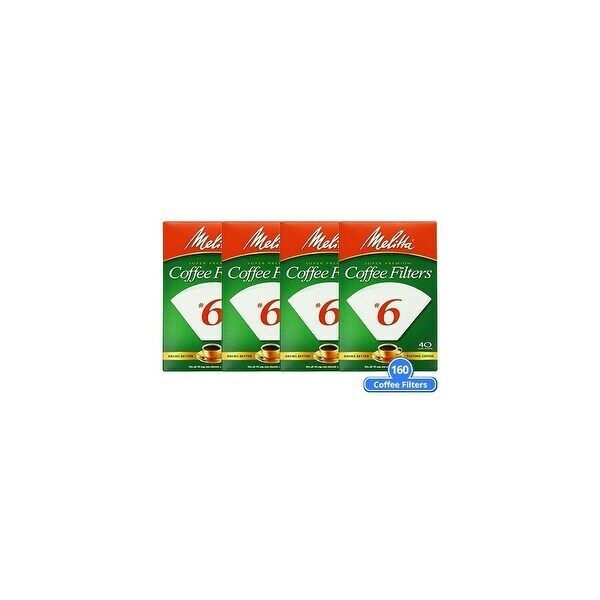 The Melitta Cone Coffee Filters fit all coffeemakers designed with a number 6 cone. It has micro flavor enhancing perforations to release coffees full flavor, while filtering out impurities for a richer tasting cup of coffee. The double crimped filter design provide extra strength and durability. The 3-pack coffee filter includes a free Coffee Filter. Help the chef in your life create gourmet meals with kitchen gadgets and cooking essentials that make their culinary adventures fun and easy this holiday season. Top 10 Italian Cooking Utensils from Overstock.com. Our guides provide customers with information about the top 10 Italian cooking utensils. How to Care for Wooden Spoons from Overstock.com. Our guides provide customers with information about how to care for wooden spoons.